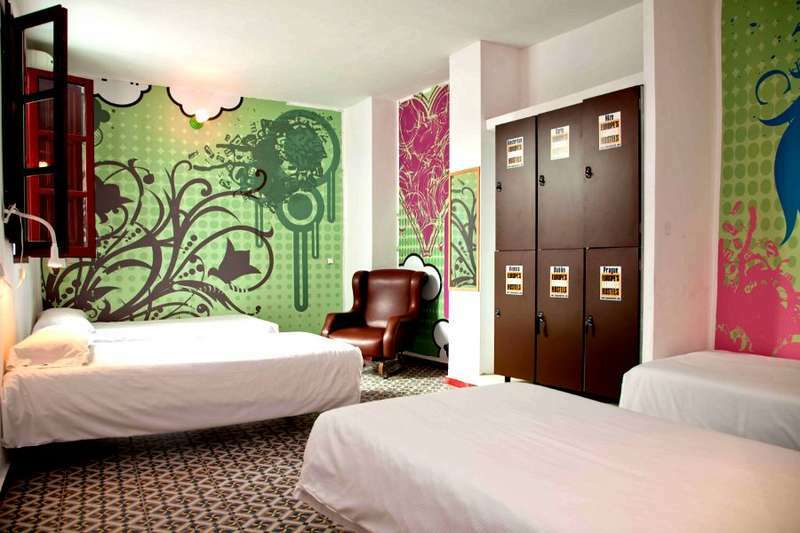 Our youth hostel in Valencia is the perfect hostel for those travellers who want a comfortable, clean and full of colour stay. Enjoy the common areas and relax in the living room planning your next destination or sharing your experiences with other backpackers from all over the world. 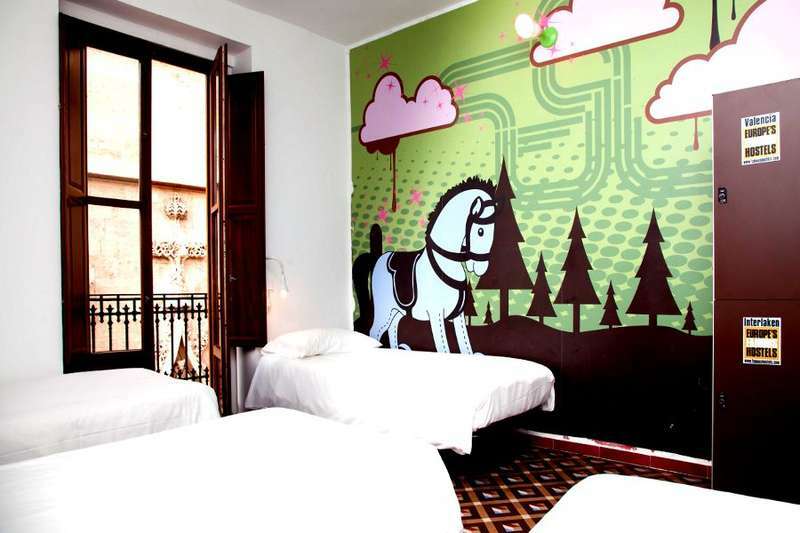 Home Youth Hostel Valencia is young, full of life, and it has modern decoration, perfect for young travelers and backpackers who wish to enjoy the best of Valencia and don’t mind to share his journey with other travelers. There is a metro service between 06.00 and 23.55 from the airport to the city center. In the center you get off at Xàtiva, just in front of the Train Station (Estación del Norte). From there follow our directions from the train station. You can also take a taxi which will cost you approximately between 15 and 20 euros and will take around 15 minutes. 15 minutes. From the main exit of the train station Valencia Nord walk straight ahead to the Plaza del Ayuntamiento. Walk past the fountain (leaving it on your right) until you get to the Citibank. Take the Avenida Maria Cristina located to your left untill you reach the Central Market. On your right you´ll see the old silk market “Lonja de la Seda”. Take the steps next to the Lonja. 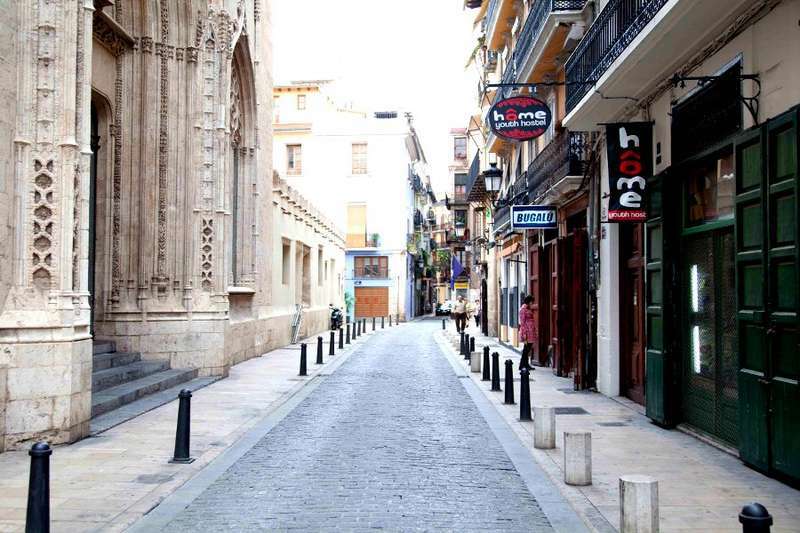 At the end, just before you reach the Plaza del Collado you´ll see on your left Home Youth Hostel. At the arrival you can pay with the following credit card details: Visa, Mastercard. Free cancellation upon 24 hours to the arrival. In case of no-show or late cancellation first night will be charged. Please keep in mind that during special periods (Fallas, Tomatina, Moto GP, Football Matches, etc. )another different policies will be applied. cannot do the check-in if they have not got this document. Smoking is not allowed in all the establishment.